The Japanese yen has posted gains in the Tuesday session, erasing the losses seen on Monday. In the North American session, USD/JPY is trading at 110.41, up 0.32% on the day. In economic news, Japanese All Industries Activities is expected to decline 0.7%, which would mark the first decline in five months. There are no U.S events on the schedule. On Wednesday, the U.S releases Existing Homes and the Federal Reserve will publish the minutes of the July policy meeting. With little data for the markets to digest, the Federal Reserve will be in focus. On Wednesday, the Fed releases the minutes of the July meeting. This will be followed on Thursday by the Jackson Hole Symposium, a gathering of the heads of the major central banks. Investors will be keenly following these events, looking for hints regarding future monetary policy on the part of the Federal Reserve. The U.S economy continues to show strong growth but inflation and wage growth continue to lag, and Fed chair Jerome Powell will be expected to address these issues, and his speech could be a market-mover. The yen continues to hover around the 110 line this week, and USD/JPY briefly broke into 109 territory earlier on Tuesday. 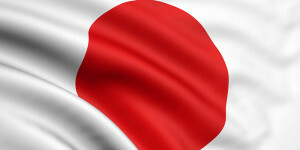 The Japanese currency has posted gains of 1.2% in August, with the currency benefitting from the risk apprehension due to the rash of tariffs that the U.S has slapped on its major trading partners, including Japan. However, there is some hope that things are on the mend, as the U.S and China have agreed to hold low-level trade talks this week in Washington. Traders shouldn’t expect a dramatic breakthrough, but the fact that the two sides are talking has investors cheering. The U.S is unhappy with the Chinese protection of local markets and technology transfers required in order for U.S businesses to operate in China, but it’s questionable if the Chinese will show much flexibility. Both sides have slapped tariffs of $34 billion on each other’s products, with another $16 billion in tariffs scheduled for August 23. If the talks show some progress, such as the cancellation of the upcoming tariffs, we could see some volatility from the currency markets. Previous Previous post: EUR/USD – Has Trump ended the decline?